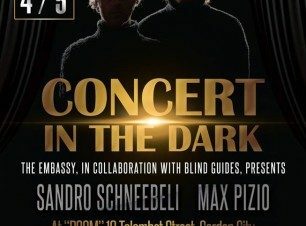 Garden City's ROOM Art Space hosts week's most unique music events, as Sandro Schneebli and Max Pizio – aka Scala Nobile – perform the first of three special gigs in the dark, with blind Egyptian volunteers acting as guides and ushers in the pitch black darkness. Entry is free. For more information, call 0100 068 1539.